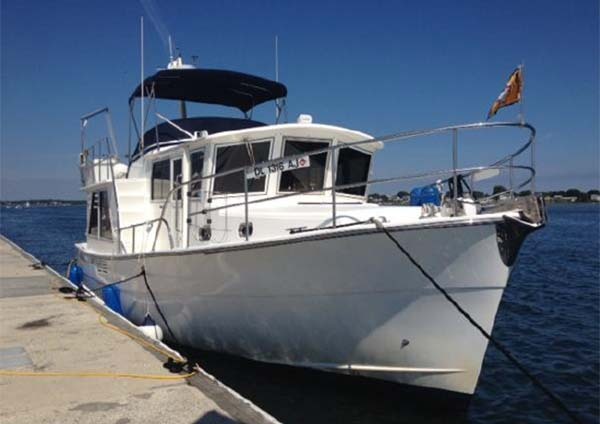 Carol Anne is a 37' Mariner Seville pilothouse trawler set up for the utmost in comfort and easy handling. She offers a huge raised pilothouse with great visibility and side deck access doors on each side, bow and stern thrusters, fuel efficient single Cummins main engine, large flybridge and cockpit, tender on transom mounted custom St. Croix davits and a great salon layout with a dayhead directly off the salon. All of this in a 37' trawler! 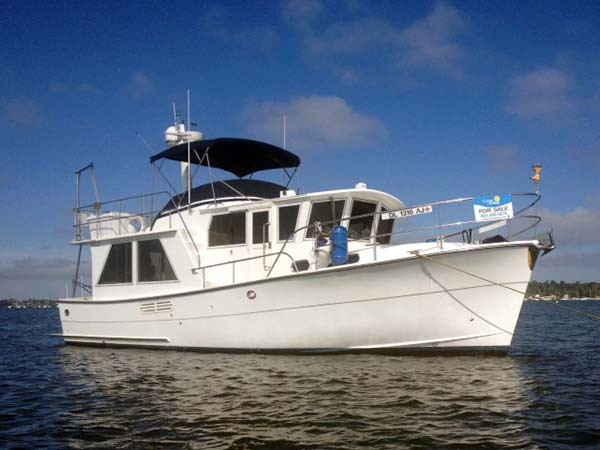 She is a two time Great Loop veteran and now the sellers are moving to a smaller boat for local cruising only, so Carol Anne is offered for sale. Price reduced! Seller reports 2gph fuel consumption at 8kts. Seller also reports Carol Anne's lowest possible height is 11'4" with the mast, bimini and antennas down, so she is capable of cruising the Lake Champlain and West Erie Great Loop options.